(TibetanReview.net, Sep29, 2017) – China has greatly tightened security across the land, including especially in capital Beijing and the politically sensitive region of Tibet, for ensuring an incident-free conduct of the 19th twice-a-decade congress of the Communist Party of China. The party has held dictatorial power over the country and its occupied territories since 1949, with the ruling hierarch ruthlessly eliminating or putting away critics both within and outside the party. The security measures ahead of the upcoming congress of around 2,000 delegates from across the country, which will open on Oct 18, include cancelling police leaves in Beijing since early September, limiting tourism to Tibet, and clamping down on the spread of “political rumours”, reported Reuters Sep 28. 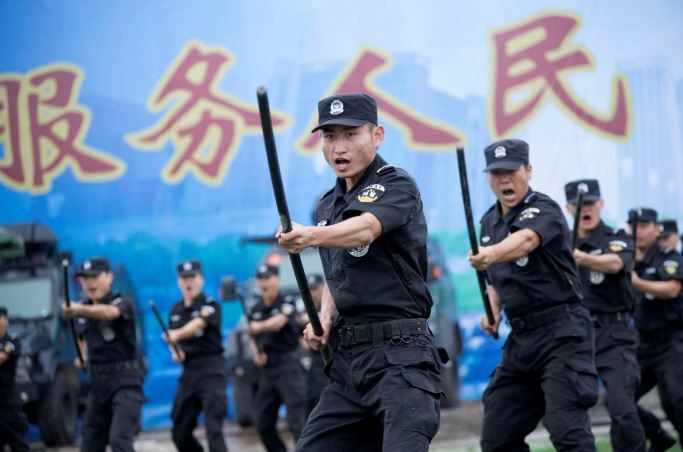 Besides, thousands of policemen from other provinces had been sent to the Chinese capital to reinforce its existing security strength, the report said, citing a source with direct knowledge of the matter. Many of the tightened security measures were reported to target migrants, with ID checks at metro stations and patrols outside government ministries to ensure any petitioners from out of town are rounded up immediately should they attempt to make a scene. Beijing’s largest market for metal building materials, frequented by migrants, was to be shuttered from Sep 29 and relocated to neighbouring Hebei province, affecting more than 10,000 industry workers and stall owners. New limits were reported to have been placed on discussion in private group online chats while WhatsApp, the messaging service run by Facebook, was already periodically unavailable in the past few weeks. And China’s cyber watchdog on Sep 25 imposed the largest possible fines of 100,000 yuan ($15,110) each on tech giants Tencent Holdings Ltd, Baidu Inc and Weibo Corp for failing to censor online content, the report said. Tight security measures were imposed in strategically sensitive places in other parts of China as well. Travels agents have been cited as saying that (non-Chinese) foreign tourists were to be banned from Tibet from Oct 18 to 28. President Xi Jinping, said to be China’s most powerful leader since Mao Zedong and Deng Xiaoping, is expected to further strengthen his hold on the country with the installation of more of his supporters in the top echelons of the party hierarchy, including the Standing Committee of the Political Bureau of the Communist Party of China.